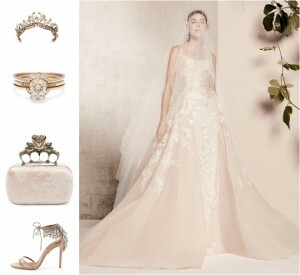 Bridal handbags come in two basic types: all-out bridal (think Edie Parker’s famed “Mrs.” clutch, for example) and bridal-to-evening ready. For this blog post, we’re all about the latter, and we’re sharing our top picks for wedding-day handbags that make a seamless transition to evening-out elegance. Make one of these evening jeweled, fringed or glittering evening bags a part of your wedding attire, then keep it close at hand for accessorizing in style any night of the year! There’s never an evening occasion when sparkle’s not in style. 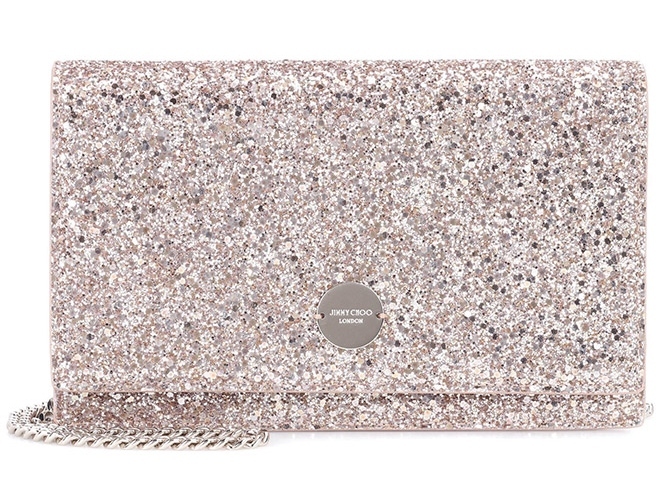 And Jimmy Choo’s glittering “Florence” bag has sparkle (and style) for miles. 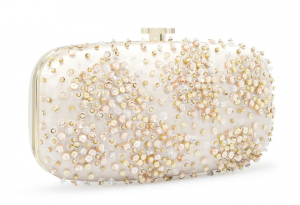 Use this super-embellished bag as a bridal clutch on your big day, then put its cross-body chain to good use when you need your hands free for sipping cocktails or throwing your hands in the air like you just don’t care, on GNO! 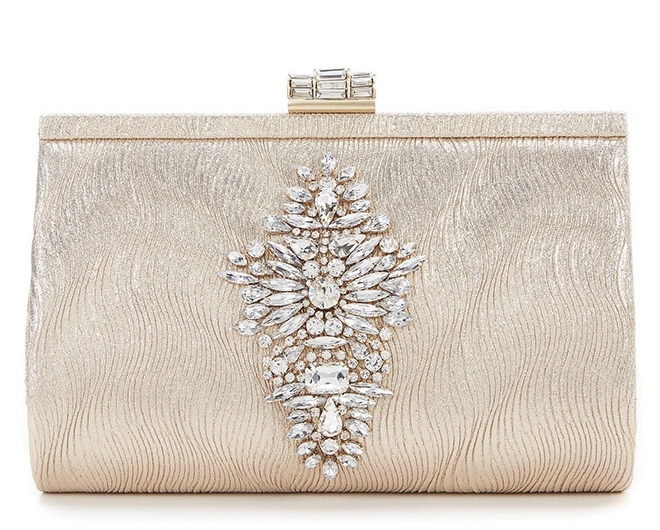 Catch the light right, with Badgley Mischka’s sophisticated, sparkling Gold Graph clutch. With its textured bengaline body, statement-making crystal embellishment and vintage-inspired clasp, this elegant bag is perfect for holding your wedding-day and evening-out essentials. 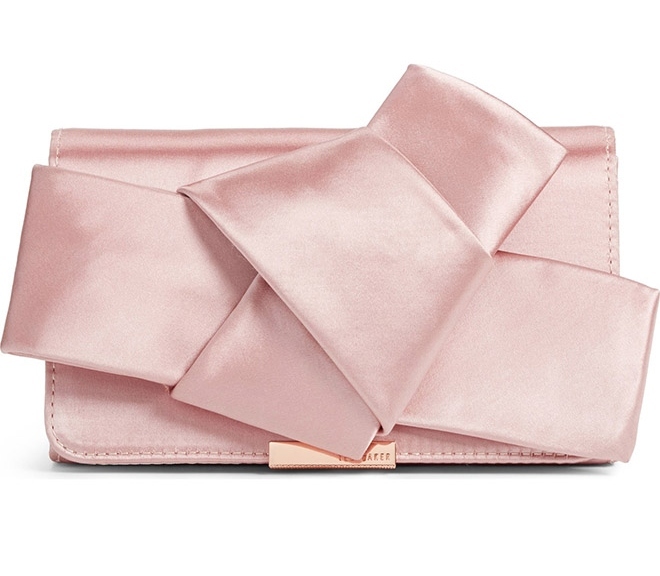 UK-based Ted Baker gives the classic bow accent a new twist with the effortlessly charming “Fefee” clutch. We love that this adorable satin fold-over clutch can go from wedding to luncheon to fancy evening affair, and look absolutely perfect doing it. 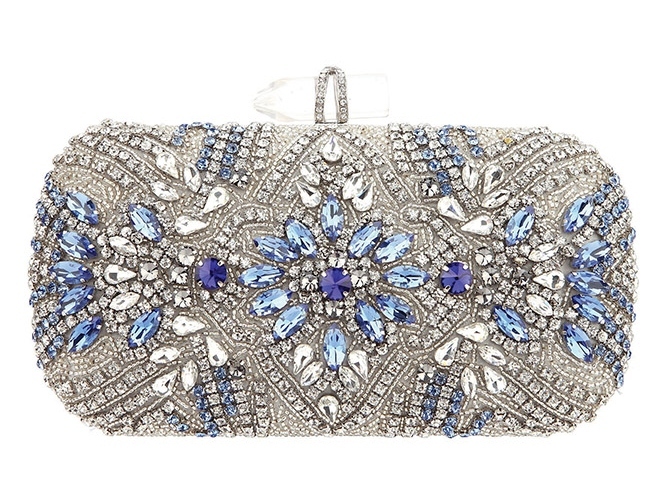 All-over crystal beading gives Nina’s “Gelsey” clutch its sparkle. 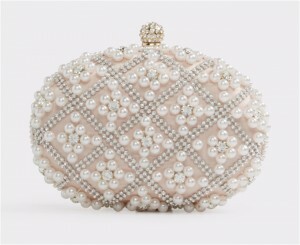 Select colored accents make it the perfect handbag for “something blue.” Rock this regal-looking beaded evening bag at your wedding reception, then keep it on hand for fancy date-night dinners, cocktail parties and special events! 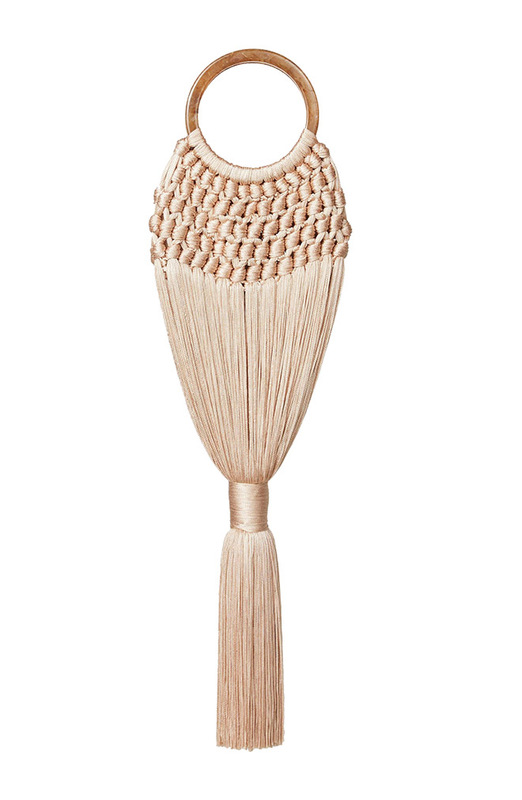 Boho brides and city sophisticates alike will find much to love about Cult Gaia’s chic, unique “Angelou” bag, from its round acrylic handle to its sleek ponytail tassel. Imagine accessorizing your cool, shimmering sheath dress or boho-glam ballerina gown with this hip handbag…which you can pair with a day dress, slinky jumpsuit, cocktail mini or jeans, any day of the year!